90s, 00s Now Hiphop, RnB & More! Djs on rotation: Shortee Blitz (Kiss) / Jonezy (Beats1) / CJ Beatz / Emily Rawson (1Xtra) / TP & more! 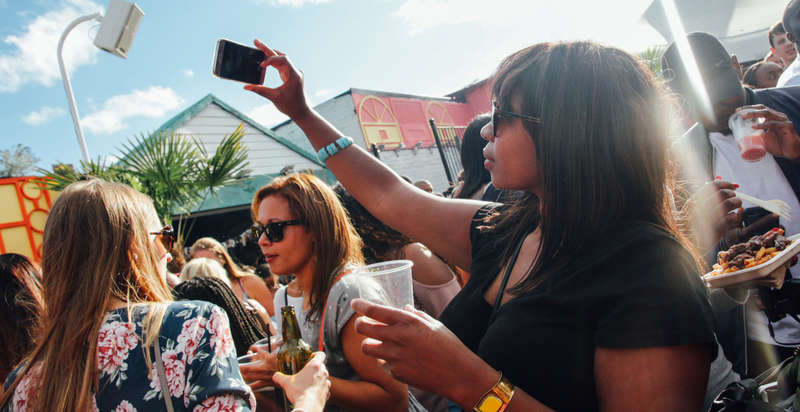 London's best Hiphop & RnB party are launching a series of all day terrace parties on the 2nd Saturday of every month from April and over the summer at Pitch Stratford. 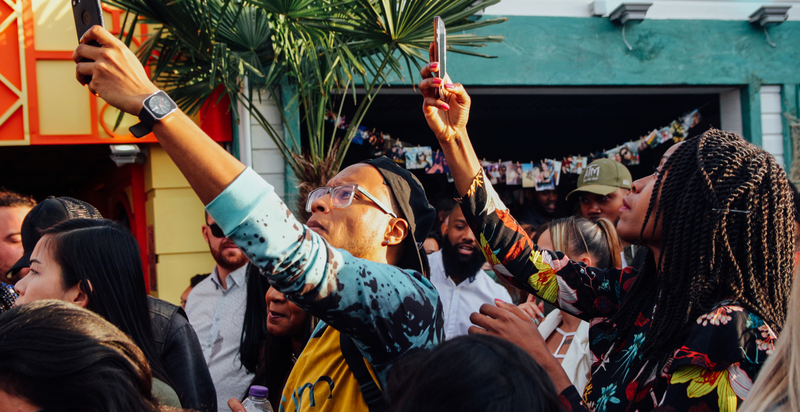 Expect dope Supa Dupa Fly outdoor vibes with great cocktails and some of the best street food pop-ups in the city... BOOM. 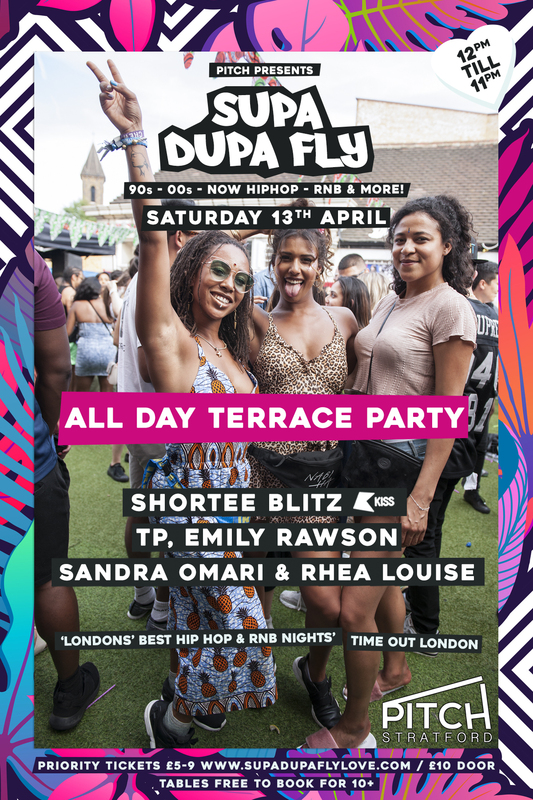 ‘London’s best RnB night’ Time Out… Supa Dupa Fly has become THE necessity in many Hiphop & RnB lovers diaries, celebrating Hiphop & RnB culture from the 90s to now, selling out every weekly event in London over the past 7 years. 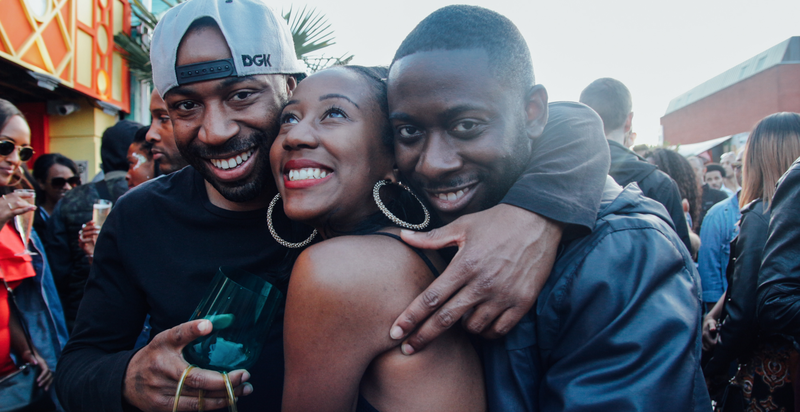 Supa Dupa Fly have hosted shows for artists including Jazzy Jeff, EZ, Rita Ora & Disclosure with recent impromptu performances from Amerie & Professor Green. 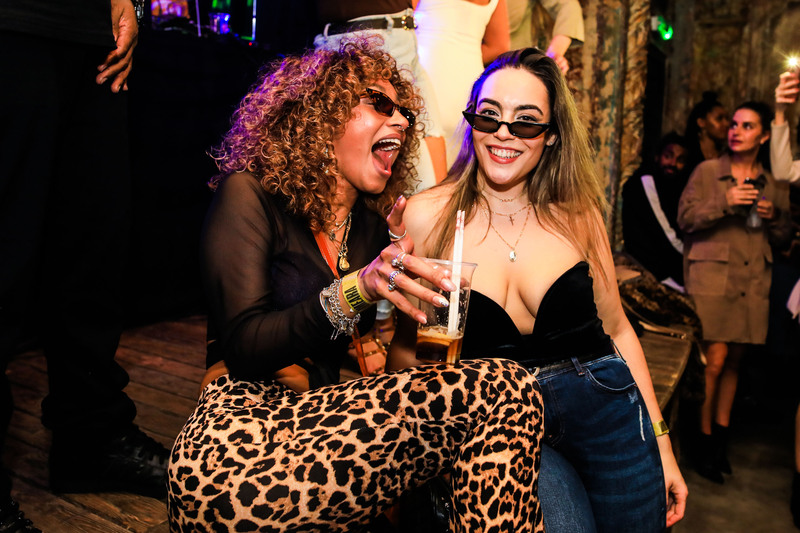 Hosting arenas at festivals including Lovebox each year, as well as lots of high profile shows at Shoreditch House have been some of the many highlights. There have been numerous recent press features from the likes of Time Out, The Guardian, The Metro and The Evening Standard. Expect 90s, Noughties Hiphop from 2Pac, Biggie, Lil Kim, Snoop, Dr Dre, DMX, Jay-Z, Busta, Kanye, Outkast & Luda. R&B from Beyonce, Aaliyah, TLC, Missy, Usher, Destiny’s Child, J.T, Rihanna, Chris Brown & lots more! We throw in new jams too, salute Kendrick, Drizzy, Dj Khaled, Giggs, J Hus, Stefflon Don & ALL of our UK Crew killing it in the game right now! Check the mixes atwww.mixcloud.com/djemilyrawson to catch a vibe! Transport: 4 min walk from Stratford International Station (Central, Jubilee and DLR) and 30 seconds from Stratford High Street DLR.